2016 – Received the Green Shovel Award from Red Roof Inns for service at two inns: #169 in Alexandria, VA and #263 in Rockville, MD. The award is presented to the top landscape contractor who achieves pristine grounds care and visual appearance whilst satisfying all contract requirements with the best results. 2014 – Received the Green Shovel Award from Red Roof Inns for service at inn #160 in Laurel, MD. 2012 – Recognized as a "Grass Whisperer" with a high rating for service quality in the Washington Post's Local Living Maryland section as rated by Consumers' CHECKBOOK. 2011 – Selected as the winner in the landscaping category by Service Alley, The Washington Post’s former home service provider recommendation initiative. The Greater Silver Spring Chamber of Commerce's mission is to enhance the economic prosperity of greater Silver Spring through robust promotion of their member businesses and unrelenting advocacy on their behalf. 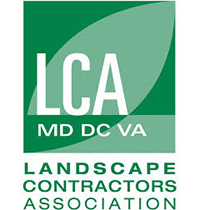 Since 1967, the Landscape Contractors Association MD-DC-VA has been dedicated to promoting excellence in all facets of the landscape industry by providing education on industry best practices, sharing updates, and helping to connect local green businesses. LCA members are highly sought after by consumers because of their superior level of expertise and their commitment to stay current on horticultural and landscape best practices. GreenSweep LLC is proud to be licensed by the Maryland Home Improvement Commission, the division of the state's Department of Labor, Licensing & Regulation that handles licenses and regulates home improvement contractors and salespersons. 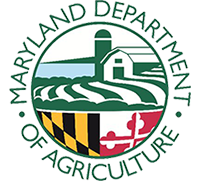 The Maryland Department of Agriculture strives to provide leadership and support to agriculture and the citizens of Maryland by conducting regulatory, service, and educational activities that assure consumer confidence, protect the environment, and promote agriculture. GreenSweep LLC is proud to be licensed through the MDA in Pesticide and Fertilizer Application. 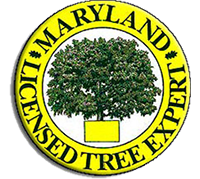 GreenSweep LLC is proud to be a Licensed Tree Expert through the Forest Service division of the Maryland Department of Natural Resources. The MD LTE qualification is held by tree care workers who have met the rigorous requirements of the state's licensing program and have successfully completed a subsequent exam, demonstrating the advanced knowledge and experience required to serve the tree care industry. A company with great execution that always manages to put their clients first!— Alex G.